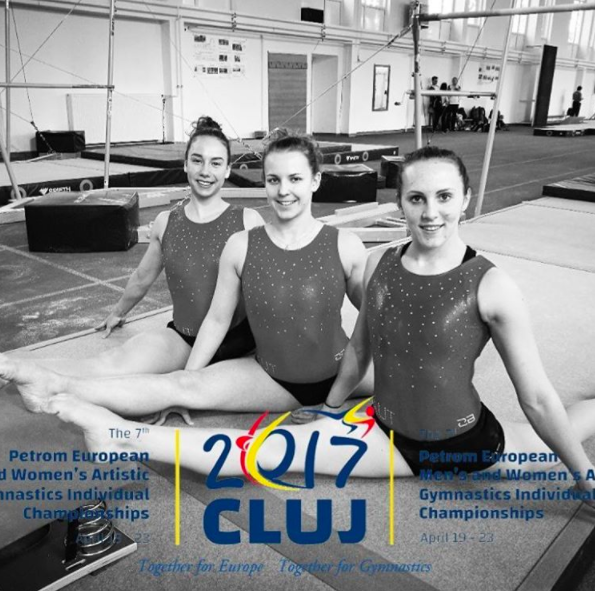 This weekend, gymnasts arrived in Cluj from all over Europe to begin the final stages of preparation for the 2017 European Championships, beginning Wednesday. 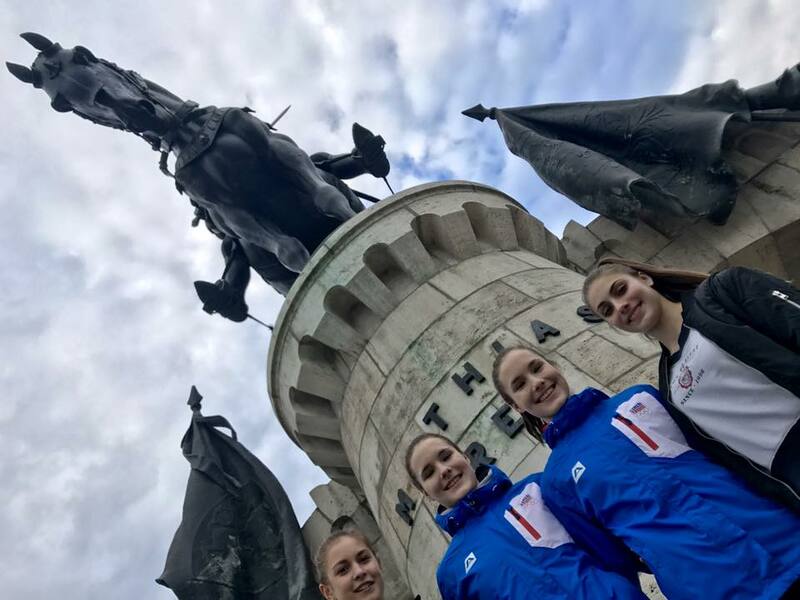 We’ll be reporting the action live from the arena, but for now, enjoy some of the photos of the ladies who hope to kick off the first Euros of the quad on a high note. Team Spain! 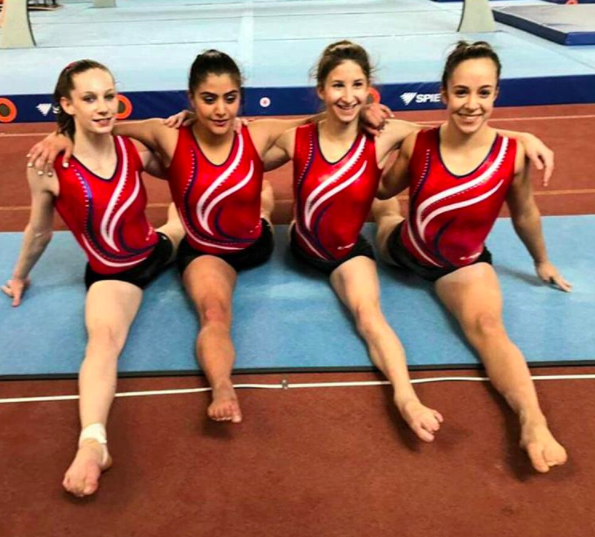 The women’s team includes, from left to right, Cintia Rodriguez, Ana Perez, Paula Raya, and Nora Fernandez. 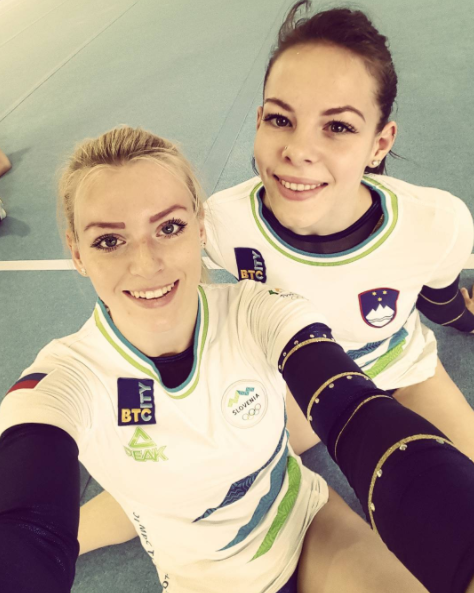 2016 Olympian Teja Belak and her teammate Tjasa Kysselef of Slovenia take a much needed selfie break. 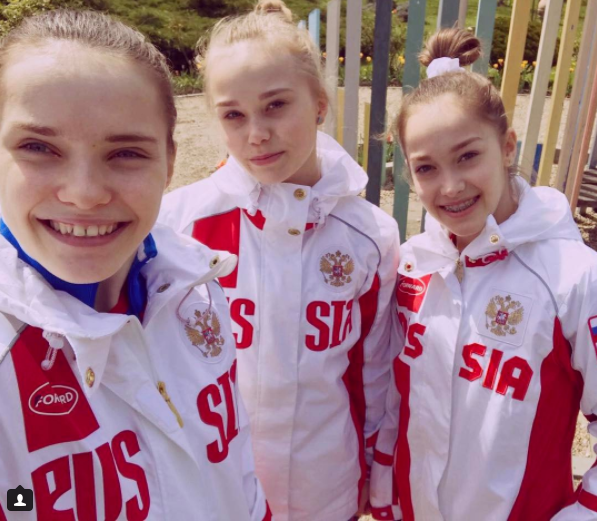 Natalia Kapitonova, Angelina Melnikova, and Elena Eremina, aka 75% of the Russian team ready to roll. Romanian legends Catalina Ponor and Larisa Iordache will be a huge deal competing at home. 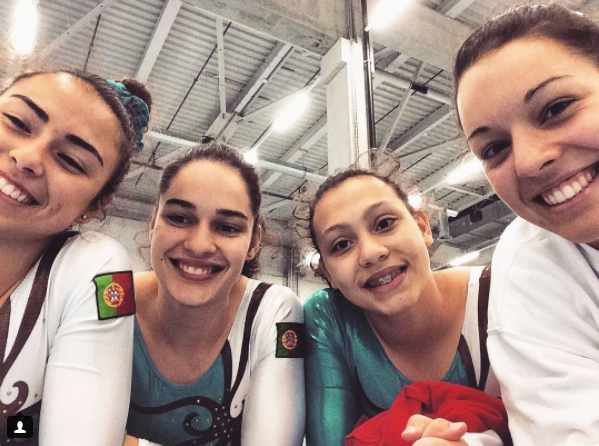 Mariana Marianito, Zoi Lima, Mariana Carvalho, and Filipa Martins of Portugal. Solveig Berg, Julie Søderstrøm, Victoria Bøe, and Martine Skregelid are happy to represent Norway. 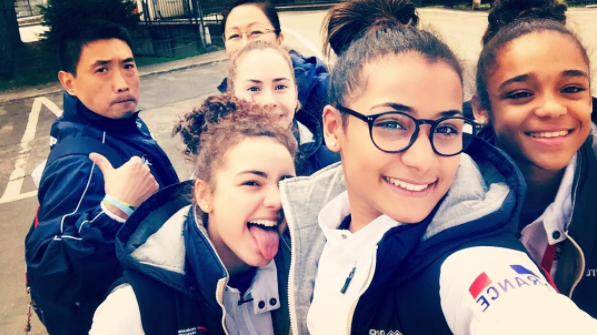 Georgia-Mae Fenton, Claudia Fragapane, Becky Downie, and Ellie Downie make for a freaking impressive British squad! 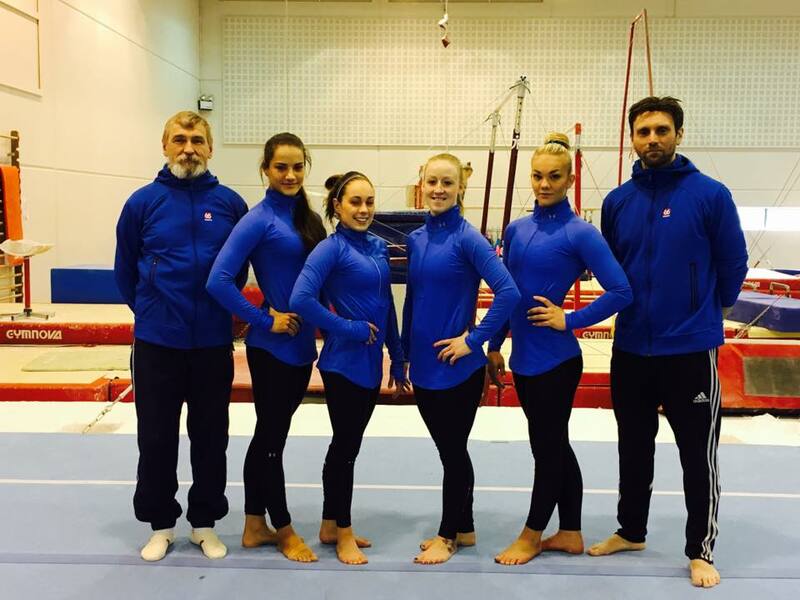 Beautiful Team Iceland, including Agnes Suto, Dominiqua Belanyi, Irina Sazonova, and Tinna Odinsdottir. Tzuf Feldon, Gaya Giladi, Ofir Netzer, and Shailee Weiss of Israel. 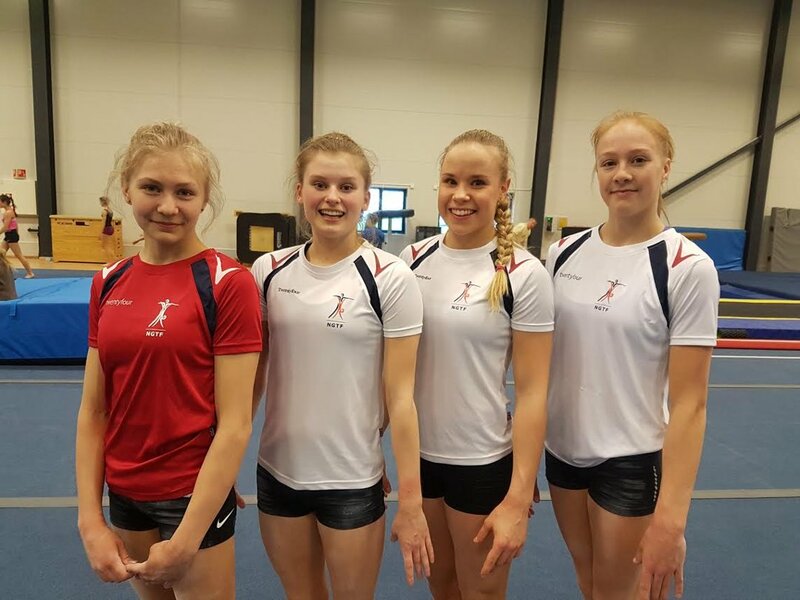 2016 Olympic champion Sanne Wevers with Dutch teammates Eythora Thorsdottir, Tisha Volleman, and Kirsten Polderman. The Czech ladies see the sights! From left, Veronika Cenkova, Adela Merkova, Vendula Merkova, and Lucie Jirikova. 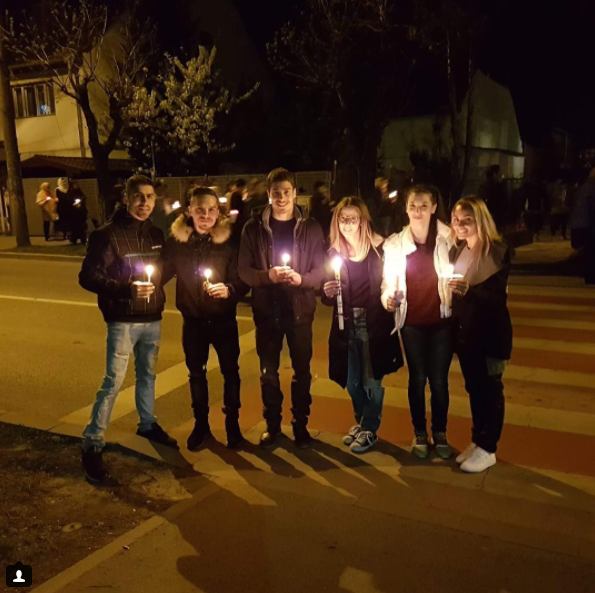 The Greek team celebrated Easter together! 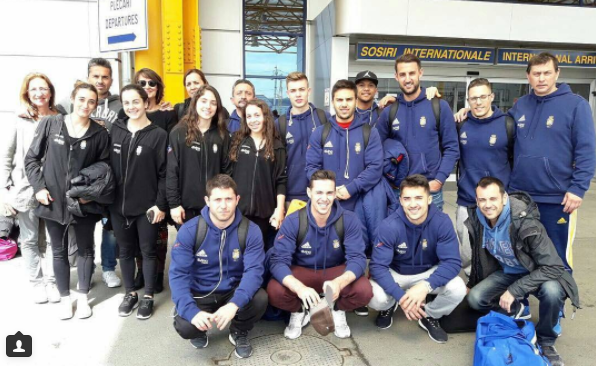 From left, Georgios Chatziefstathiou, Eleftherios Petrounias, Nikos Iliopoulos, Evangelia Plyta, Ioanna Xoulogi, and Vasiliki Millousi. 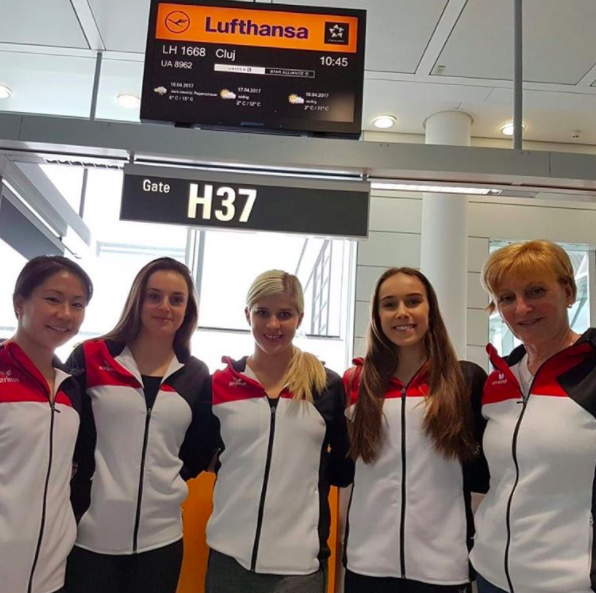 Team Germany — Kim Bui, Pauline Schäfer, Elisabeth Seitz, and Tabea Alt — getting ready for their flight. The Hungarians at their first training! From left, Dalia Al-Salty, Zsofia Kovacs, Noemi Jakab, and Boglarka Devai. 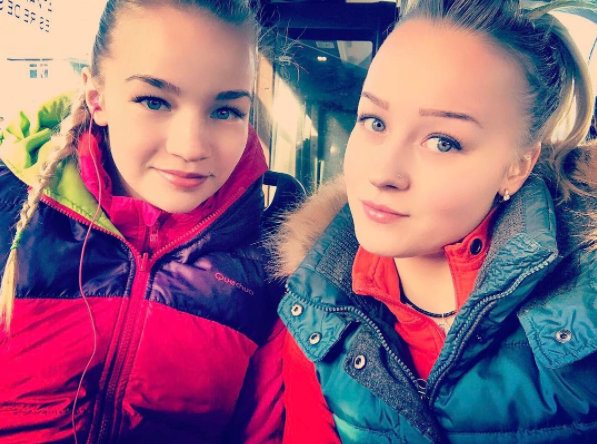 Greta Banishka and Desislava Todorova of Bulgaria. France having fun! From left, Coline Devillard, Alison Lepin, Marine Boyer, and Melanie De Jesus Dos Santos. 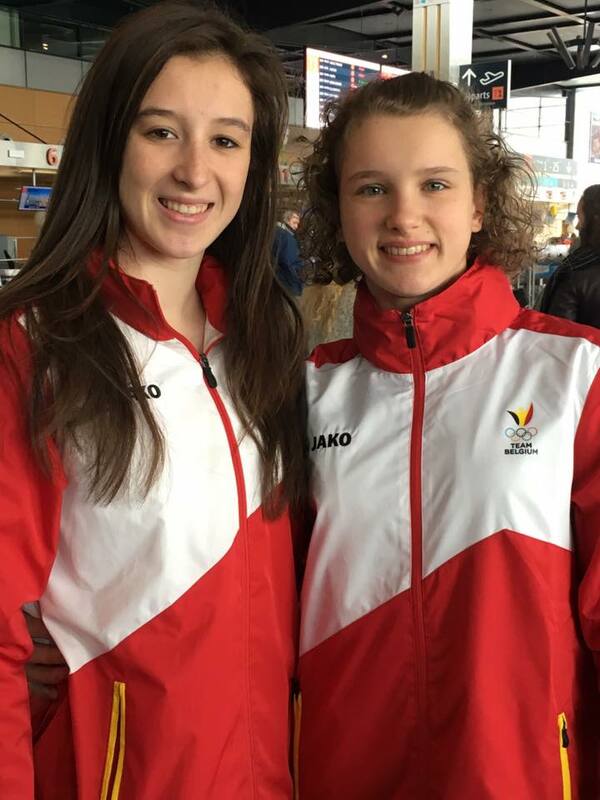 The Belgian ladies Nina Derwael and Julie Meyers traveling to Romania. 2016 Olympian Ana Derek of Croatia is the sole representative from her country. 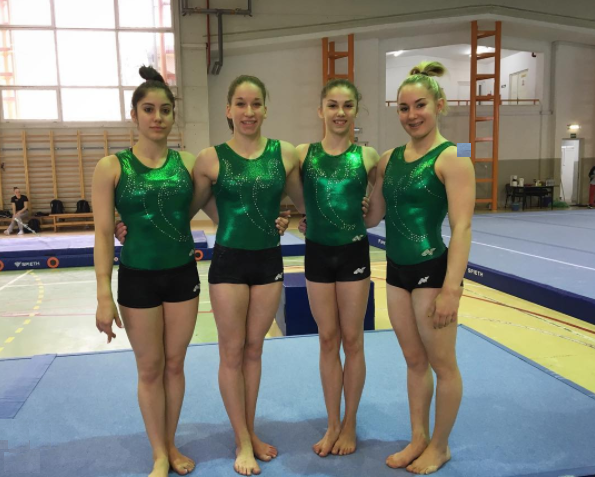 Austrian gymnasts Bianca Frysak, Jasmin Mader, and Marlies Männersdorfer with a little Euros filter going on. The women begin qualifications on Thursday! Who’s excited? April 17, 2017 in 2017 European Championships, Adela Merkova, Agnes Suto, Alison Lepin, Ana Derek, Ana Perez, Angelina Melnikova, Azerbaijan, Becky Downie, Belgium, Bianca Frysak, Boglarka Devai, Bulgaria, Catalina Ponor, Cintia Rodriguez, Claudia Fragapane, Coline Devillard, Croatia, Czech Republic, Dalia Al-Salty, Dominiqua Belanyi, Ekaterina Tishkova, Elena Eremina, Elisabeth Seitz, Ellie Downie, Evangelia Plyta, Eythora Thorsdottir, Filipa Martins, France, Gaya Giladi, Georgia-Mae Fenton, Germany, Great Britain, Greece, Greta Banishka, Hungary, Iceland, Ioanna Xoulogi, Irina Sazonova, Israel, Jasmin Mader, Julie Meyers, Julie Søderstrøm, Kim Bui, Kirsten Polderman, Larisa Iordache, Lucie Jirikova, Mariana Marianito, Mariana Pitrez, Marine Boyer, Marlies Männersdorfer, Martine Skregelid, Melanie De Jesus Dos Santos, Natalia Kapitonova, Netherlands, Nina Derwael, Noemi Jakab, Nora Fernandez, Norway, Ofir Netzer, Paula Raya, Pauline Schäfer, Portugal, Romania, Russia, Sanne Wevers, Shailee Weiss, Slovenia, Solveig Berg, Spain, Tabea Alt, Teja Belak, Tinna Odinsdottir, Tisha Volleman, Tjasa Kysselef, Tzuf Feldon, Vasiliki Millousi, Vendula Merkova, Veronika Cenkova, Victoria Bøe, Yuliya Inshina, Zoi Lima, Zsofia Kovacs. What on earth happened to Lari’s arm? She has the mother of all bruises around her armpit. I hope Lari and Cata KILL IT during this European Championship. I don’t think I’ll ever root harder for the Romanian gymnasts than during this competition. I hope Lari wins AA. I don’t know why, but Larisa competes only bars and beam, Catalina beam and floor and the other to make the AA! I’m pretty sure Larisa’s bruise comes from cupping therapy. Is there a way to watch the podium training today? Larisa had an amazing BB PT!! That bruise on Lari’s arm is from cupping therapy.